Have you ever wanted your home featured in a magazine? Well here is your chance! 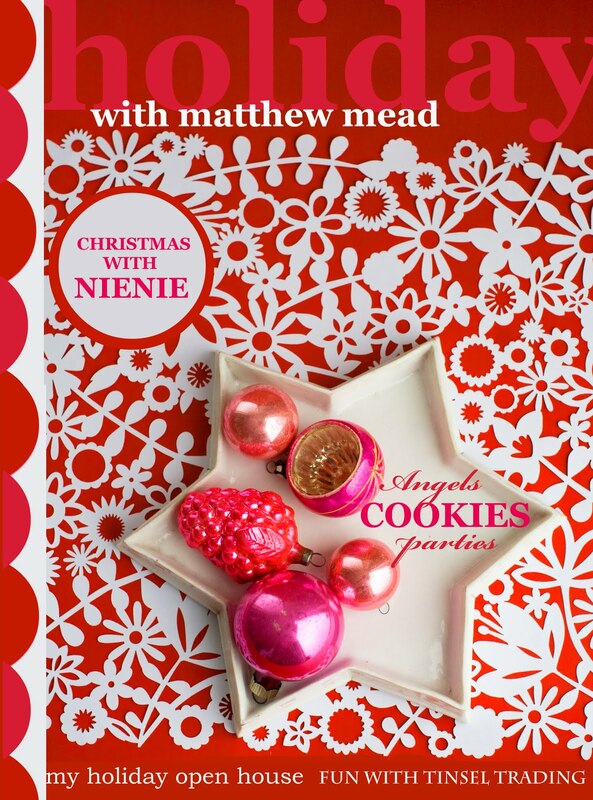 The upcoming mag, Holiday with Matthew Mead, is looking for a home to decorate for a holiday photoshoot. If you want to throw your hat in the ring, get the details here. I'm giddy with excitement about being asked to contribute something but does that make me ineligble for this contest? Im not sure but I would just love to have Matthew Mead himself gussy up my pad. Just in case, Im printing photos of my home right now to enter. If you want to join me you best hurry up, entries will only be accepted until July 15. Aw, shoot ... it's a shame that the part of my house that isn't actually empty is a complete wreck, otherwise this would be totally cool. Good luck to everyone who enters! NO wwayy! someone is going to be very lucky this holiday :-) You should enter! Your home would be a dream for them! My little hovel probably wouldn't...I've had one photographer with one light thingy (don't you like my technical knowledge) in my condo and things were really, really tight. The only way I could enter is because I do own my own home and I have a camera that takes "old fashioned" pictures. No tweet, no blog, no facebook. I'm out before I'm even considered lol. Good luck to you Mrs. Limestone. Naz: They are only accepting real photographs mailed via the post office. (no email!) very retro! So you can totally enter. Honey...There is NO QUESTION that your house should be featured!! NO QUESTION! how fun! will have to check it out. Your house would be amazing. How cool - I am going to have to look into this as well as would be mega cool. Doubt they want to come to Iowa though. I would so love it if someone came and dolled up my little condo. Sadly it would probably not be ready for that. On the other hand, your house would SO LOOK GREAT IN A MTTHEW MEAD BOOK! Sorry for the yelling. Keep us posted - your a shoe in! This is pretty amazing! I cannot wait to see what he does with the winners home. Yours would surely look amazing! I love Matthew Mead! Oh, Mrs. Limestone! You're so in! They have to put you in! I would love too....but I think I'm too far away - I shall have to live vicariously through you. What a great idea...good luck, xv. You totally need to enter! OMG.. how dreamy would that be?